Gatlinburg Studio + Loft w/ Private Hot Tub! Property 3: Gatlinburg Studio + Loft w/ Private Hot Tub! Gatlinburg Studio w/ Private Balcony+Resort Pools! Property 5: Gatlinburg Studio w/ Private Balcony+Resort Pools! Renovated Gatlinburg Studio w/Mtn. Views! Property 7: Renovated Gatlinburg Studio w/Mtn. Views! Wonderful Studio Cabin - Close To The River and Town. Perfect For Couples ! Property 9: Wonderful Studio Cabin - Close To The River and Town. Perfect For Couples ! NEW LISTING! NEWLY REMODELED! MOUNTAIN VIEWS, PET FRIENDLY ON 4 ACRES! Property 10: NEW LISTING! NEWLY REMODELED! MOUNTAIN VIEWS, PET FRIENDLY ON 4 ACRES! Property 12: Bryson City Studio w/ Hot Tub - Near Nantahala! Studio Log Cabin in Sevierville w/Private Hot Tub! 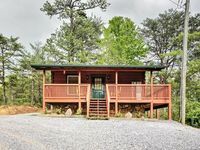 Property 14: Studio Log Cabin in Sevierville w/Private Hot Tub! 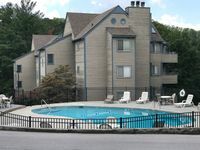 'A Summer Place' Sevierville Apt w/Pool & Hot Tub! Property 17: 'A Summer Place' Sevierville Apt w/Pool & Hot Tub! Property 18: Hugs and Kisses Luxury Honeymoon Hideaway - Great Location w/ Hot Tub! Property 19: "Pooh Bear" is the perfect romantic getaway for Honeymooners, Newlyweds and Couple's getaways. Property 26: Dog friendly studio cabin w/ private hot tub, fireplace & shared seasonal pool! On top of it all with views for days! Pool and hot tub at the clubhouse. Property 28: On top of it all with views for days! Pool and hot tub at the clubhouse. Sweet WM Lakefront Studio, Great Location, Private Dock 30 minutes to Dollywood! Property 31: Sweet WM Lakefront Studio, Great Location, Private Dock 30 minutes to Dollywood! Smokerise Lodge | 5 Bed 6 Bath Cabin with A Ton of Space!! Property 38: Smokerise Lodge | 5 Bed 6 Bath Cabin with A Ton of Space!! 2 Urban chic downtown suite, walking distance to shopping, dining, breweries. We love going to TN and this Cabin was perfect. Located in a secluded area yet close to everything at the same time. We couldn't be happier with our stay. A lot of privacy and any neighbors we did run in to were very friendly. If you are looking to get away for a few days and want a cabin in a quiet and beautiful area this one is for you. The location may be difficult to get to in a smaller vehicle so just make sure you take that into account. Overall we loved our time at this cabin and hope to return again soon. I would recommend this cabin to anyone. It was a bit small for the 4 of us, but we managed O.K. The light over the stove was out and it would be very helpful to have a map or specific directions on how to find the place. We drove around quite a bit before we found it. Info on a local grocery store would be helpful, too. Someone told us there was no grocery store in Gatlin. that we would have to go to Pigeon Forge to get food. The soap dispenser in the pool shower didn't work, but we enjoyed having the pool and hot tub.